Founded in 1935, the International Association for Hydro-Environment Engineering and Research (IAHR) is a prestigious and independent organisation that brings together specialists in water, water resources, soils and environmental protection. 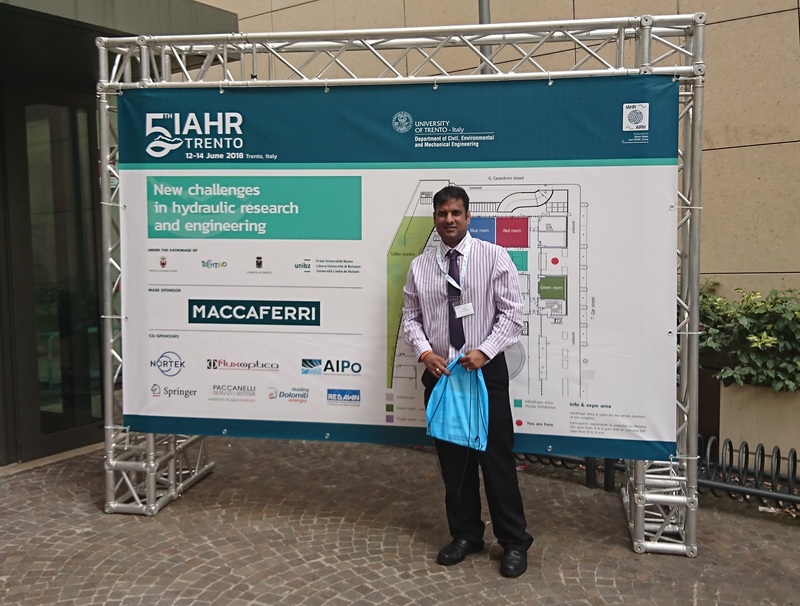 The 5th IAHR European Congress focused on new challenges in hydraulic research and engineering, and was held at the University of Trento, Italy, 12-14 June 2018. N. Ramroop, K. Tota-Maharaj and G. Anoyatis (2018). 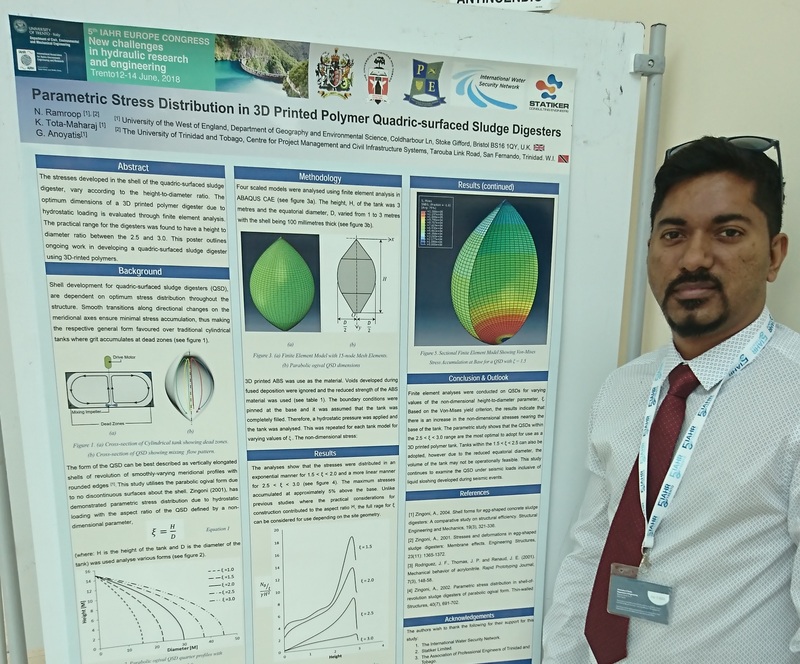 Parametric stress distribution in 3D printed polymer quadric-surfaced sludge digesters. Proceedings of the 5th International Association of Hydro-Environment Engineering and Research (IAHR) Europe Congress-New Challenges in Hydraulic Research and Engineering, University of Trento, Italy, 12-14 June, 2018. Editors: Aronne Armanini and Elena Nucci doi:10.3850/978-981-11-2731-1_321-cd. K. Tota-Maharaj and O.O. Ajibade (2018) Evaluation of Engineered Wetlands and Filter Drains as Low Impact Development (LID) Technologies for Stormwater Management in Refugee Camps. University of Trento, Italy, 12-14 June, 2018. Editors: Aronne Armanini and Elena Nucci. doi:10.3850/978-981-11-2731-1_351-cd. The IAHR Congress stimulated discussions about water-linked traditional themes such as hydrology, hydraulics, fluid mechanics, hydraulic infrastructure and hydraulic construction methods, as well as innovative topics in the fields of morphology and ecohydraulics, ecology of aquatic environments, biofluids and new strategies of defence against extreme events and the impacts of climate change.